What shall we call her? 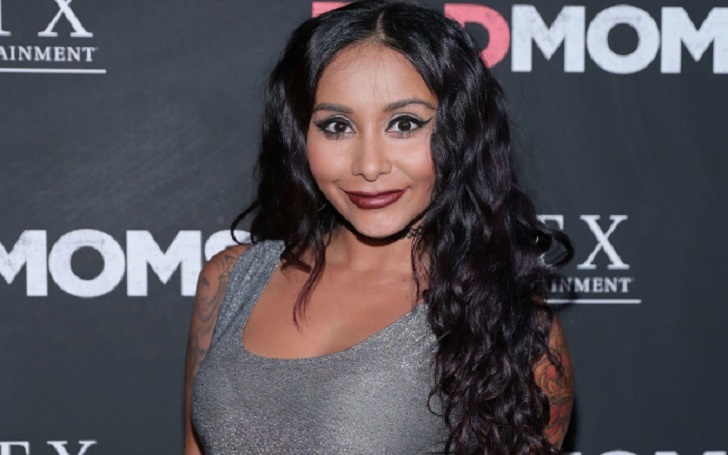 Nicole "Snooki" Polizzi is pregnant with her third child, a baby boy, with her husband, Jionni LaValle, and the Jersey Shore: Family Vacation star has chosen a name for their upcoming son. The television personality, 31, took to Instagram on Thursday, April 11, to announce that she and husband have planned to name the unborn baby Angelo. The post features a sweet post of her daughter, Giovanna, 4, kissing her growing baby bump, which she captioned, "BIG MAWMA #almosttime #ANGELO." The proud mom looks relaxed in a black sports bra and black leggings while posing for the bathroom selfie. The couple is also parents of a 6-year-old son, Lorenzo. As we previously reported, Snooki shared an Instagram post in November 2018 to announce that she and her husband are expecting their third child together. Nearly one month later, they conducted a gender reveal party and found that they are going to have a baby boy. The couple tied the knot on November 29, 2014, two years after announcing their engagement in March 2012.